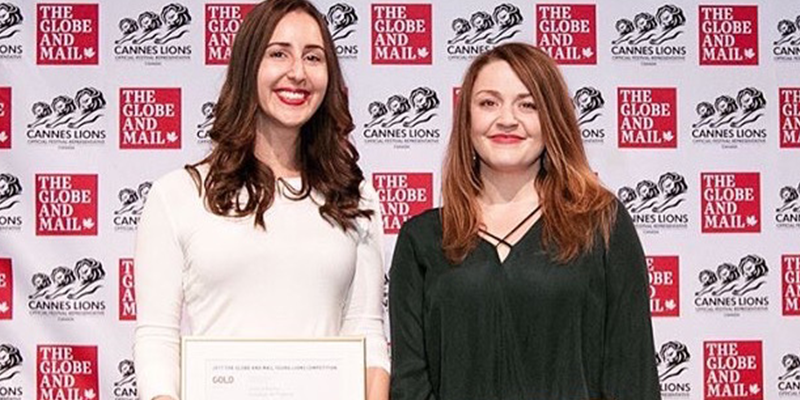 It’s off to Cannes this June for two of our Experts, who recently won Gold in the Media category at the 2017 Canada’s Young Lions competition. Our Visual Communications Director, Jessica Burnie, and Communications Manager, Elizabeth McPhedran, came out on top from a pool of 140 competing teams – a record-high number of entries for the annual competition. This year’s brief came from the charity Samara Canada, a non-partisan group that aims to help young Canadians get more involved in politics and understand the value of democracy. The organization tasked Young Lions competitors with reengaging young Canadians in the democratic process by developing an innovative and engaging media plan – all within a 24-hour timeframe. Check out their winning submission as well as winning work from other categories on the Globe and Mail’s Media Group site. The duo will be representing Media Experts, IPG Mediabrands, and Canada on the global stage during the 2017 Cannes Young Lions Competition, which takes place at the Cannes Lions International Festival of Creativity in June.